What Are We Really in for When We Choose Chemical Based Cleaning Agents? 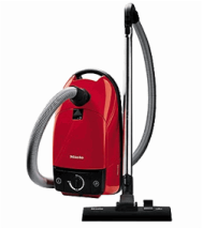 When you think of cleaning products, you visualize clean, fresh, dust & germ free. However, you may be given more than what you bargained for when youopted for the chemical based cleaning agent. Aside from killing bacteria, unclogging drains or simply making your laundry smell like ‘mountain spring’, traditional or chemical based household cleaners impact us in 2 additional ways – our health and our environment. What Does Green Actually Mean When It Comes to Cleaning Products? As climate changes, sea levels rise and natural resource depletes, many people are turning to environmentally friendly products, or also known as ‘green’ products, in hopes of preserving our earth as we know it. This trend is also happening for house cleaning products. 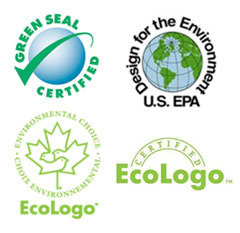 But what makes for a green product when it comes to cleaning supplies and how is it certified? Are green cleaning agents as effective as chemical based cleaning agents? In this article, we will answer these common questions you may be wondering about when it comes to green cleaning products. What Are the Best Cleaning Tools Used and Recommended by Environmentally-Friendly Professional Cleaners? A recent study conducted in Canadian homes shows that air quality decreased considerably by simply cleaning with popular cleaning products. At Dhyana Cleaning, we follow green cleaning best practices and use premium eco-friendly products, because we genuinely care about your health and well-being. With over ten years of providing green cleaning service to our Toronto clients, we have used many different products, and below are some of the best eco-friendly cleaning tools and supplies we use when cleaning homes and condos. Click here to read more. Many people wonder if they really need home cleaning service. To find out if you do, ask yourself if keeping your home clean has ever made you feel stressed, pressed for time, or even placed strain on your marriage/relationship. If you answered yes, then you can benefit from professional cleaners. Take a little stress out of your life -- call us today. Click here to read more. Research has shown that most people find themselves happier, more relaxed and balanced when they are living and working in a clean space. For time-constrained home owners, hiring a professional home cleaning service is the best solution to keeping their homes looking beautiful and clean everyday. This of course does not mean that you need to have the cleaning lady come in every day. Click here to read more. Why hire a professional cleaning company versus an individual housecleaner? When looking to hire Toronto home cleaners to work their magic and turn your dusty house into a sparkling palace, there are many factors to consider when choosing a home cleaning service. One additional consideration is whether you should hire an individual cleaner or a cleaning company? Click here to read more.